Sherrie Scraps with passion: Valentine, be mine! Such a sweet treat package! The little chickie is adorable! How fun that your granddaughter made these with you and all 40 of them, that is a very long attention span for a little one! I think you may have a future crafter on your hands! Have a great weekend! You and Arya did a fabulous job with these, Sherrie!! They are so darn cute!! I love the little chickie!! The papers are perfect!! She is a trooper to help with all 40!! Her classmates will adore these!! Such beautiful Valentine's!! Thank you so much for playing along at DL.ART!! Fabulous- how fun to make these with your grandaughter- those will be very special. I love it. 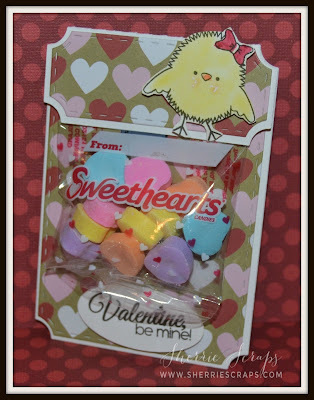 Thank you for joining my DL.ART Thankful Thursday Anything Goes FEBRUARY Linky Challenge. Have a blessed day and I pray all is going well. Such a great grandma you are!! She will always remember doing these things with you. 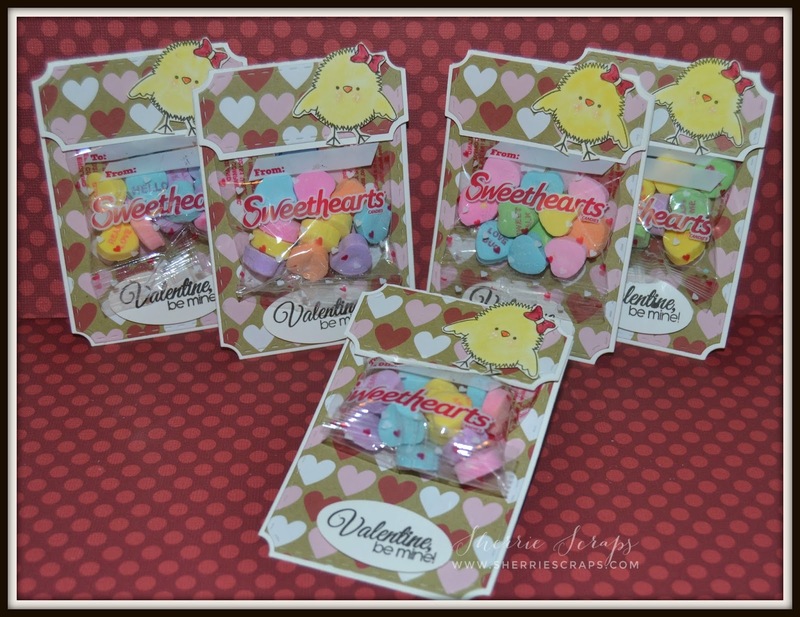 Her little friends will love them they are super cute! These Valentine's treat are sooooo adorable!! Love the pretty paper and the cute little chick!!! Have a great day. These treat bags are so darn cute! Thanks for playing along with us at DL.ART Challenges! Sherrie these are soo cute !!! I bet her class is going to love them !! How fun! I am going to make my Valentines for my class soon! My dear friend, you and Arya did such an amazing job with these treats! I love the sweet images and the beautiful heart backgrounds! The sentiments are so pretty. They are going to be tickled pink upon receive such darling gifts! Lovely work to both of you.. you make an amazing team. Have a beautiful night, Sherrie! OMYGOSH!! These are adorable! I loveeeeeeeeeeeee the little chick!!!!!!!!!!!!!!!!!!!! I hope her little classmates will love these! Have a great weekend! Super DUPER cute!! Yummy too! Arya, you did such an awesome job! !may be she needs a blog..lol I love the adorable chick! These are super cute, adorable and sweet...what a cute little chickie...I bet you and your granddaughter had so much fun making these!! I bet Arya had so much fun making these with you. I love the Chickie. How gorgeous! Thanks for linking up at PDE, Jackie DT member. Oh my gosh, how cute! I just LOVE that you craft with Arya, I'm sure it's something she will look forward to for years to come. These are SO, SO cute!!! And how fun that you and Arya made them together!! Wow! 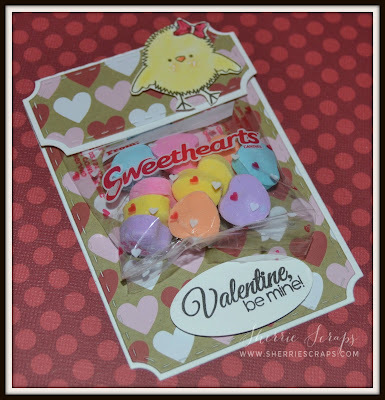 This is so cute :) What a great Valentine treat idea! !